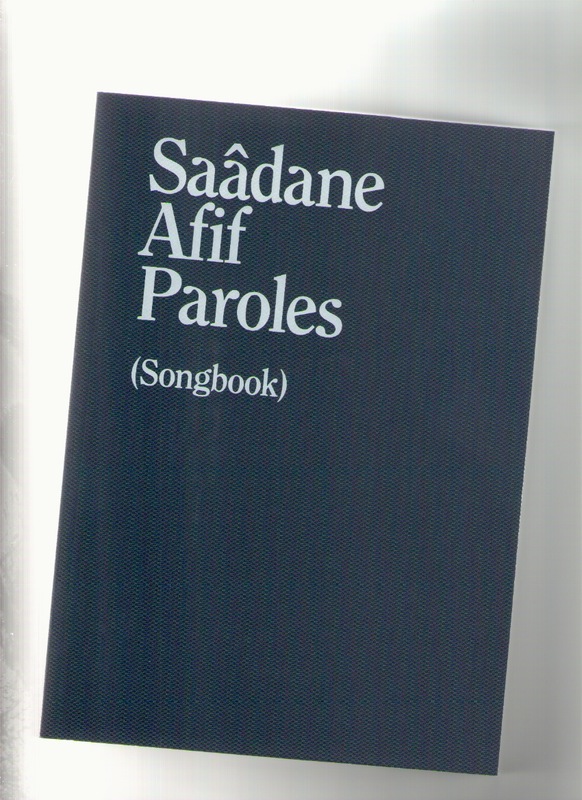 Paroles brings together all the textual collaborations generated by Saâdane Afif since 2004. In a formal way the artist invited each author, commissioned each contribution and gave the source of each composition, his works being the starting point of all the texts presented here. 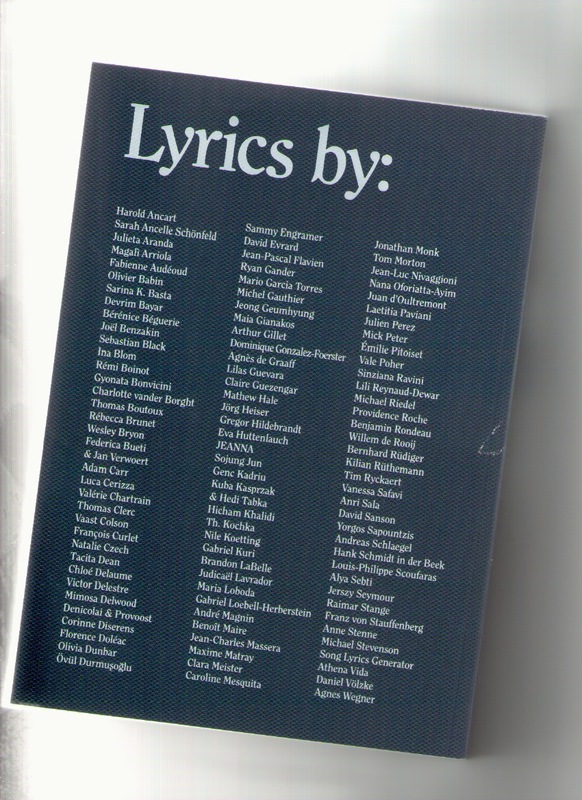 The book lists the 191 songs in 21 sections, in their original language. The keystone of the exhibition Paroles at WIELS, in which it has the status of a work of art, this printed object is the tool that animates the wheels of the project. Through its volume, segmentation and substance it exists as a book of poetry and reveals hitself in a duality between poetry and song.